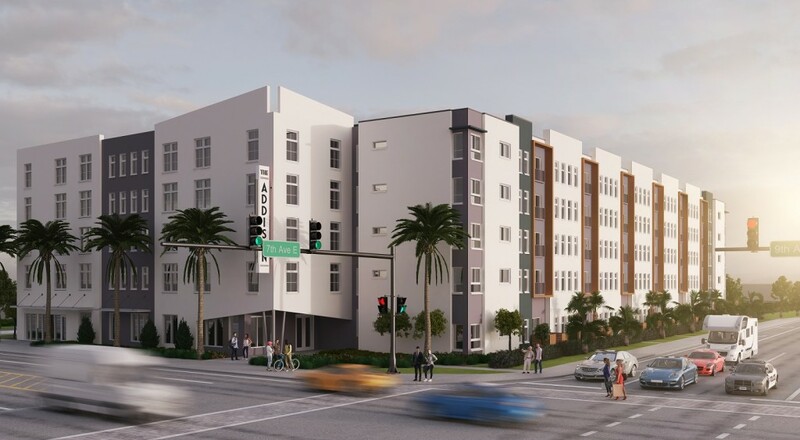 The Addison is a 90-unit new construction family development consisting of a Mid-Rise Apartment building of 5 stories on approximately 3 acres of land with surface parking. 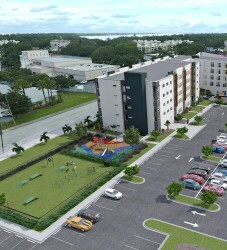 The 3 acre development is located within the City of Bradenton, Manatee County on a major transit corridor. The community will offer a resort style swimming pool, media center community room, dog park, playground, fitness center and many other amenities for our residents. There will also be a 600 sq. ft. retail space as part of the overall development. 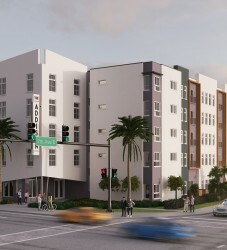 The Addison will be a mixed-income and mixed-use development with Thirteen (13) units set aside at market rate rents, Sixty-Eight (68) units set-aside for tenants earning at or below 60% AMI, and Nine (9) of the units set-aside for tenants earning at or below 35% AMI. Average unit sizes for the community are 650 sq. ft .for the 1bed/1bath, 884 for the 2bed/2bath and 1,100 for the 3bed/2bath units.